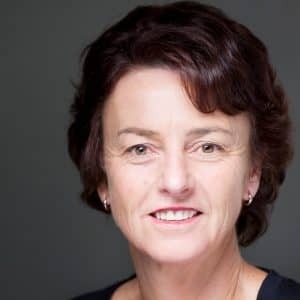 Many people were surprised when Susan Devoy was appointed Race Relations Commissioner in 2013. 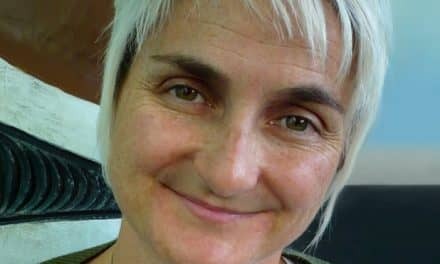 Critics claimed that the former world champion squash player was unqualified and — given the views she’d expressed in newspaper columns about Waitangi Day and burqas — patently unsuitable. On the other hand, there were those who thought she’d bring a welcome “mainstream” view to a role they saw as too PC by far. Three years later, both the critics and fans seem to have quietened down. As she tells Tapu Misa in this interview, most people had her wrong. She starts here by recalling her early days. I was born in Rotorua. I’m the youngest of seven children. I have six older brothers — the only daughter, so there was great excitement in the household when I was born. My parents were Tui and John. We lived in Puriri Crescent. I never like to say now that I grew up in a state house, because that’s a bit of a cliché, isn’t it? Doesn’t mean anything, I’ve decided. I went to St Mary’s primary school and then to MacKillop College. I was born and raised a Catholic. My parents were salt of the earth folk who did everything that parents of that era did. They raised money to build the new Catholic school. They ran housie every Thursday night for the fundraiser. They were big Labour people. They voted Labour all their lives. We just grew up with the idea that, if your neighbours fell on hard times, you took them a meal. You looked after each other’s kids. We played tennis in the middle of the road. We mowed each other’s lawns. It didn’t matter where you came from. We’d put some money in, if someone was made redundant. You did all those sorts of things — it was just normal. I don’t know whether that was because of where we lived, or because we were Catholic. And my mother and father always had thousands of people over at our house. It was just: “Do drop in”. You could come to my mother’s house at 2 o’clock in the morning. It used to be called “Tui’s Diner”. And, if you’d been out drinking, she’d cook you steak, eggs and chips. And give you a bottle of beer as long as she could stay up and drink it with you. So we were like the party house. It was my mother usually and my father, leading the charge. And my brothers brought home stray people all the time. We always had people staying. We always had strangers. We had people from overseas. We had locals. We had everybody. The more the merrier, really. And big family dinners. Both my parents worked incredibly hard. My mother was a full-time working mother. I think when I was born she was the night porter at De Bretts Hotel, where my father was probably the best client. Then I remember her as the postmistress at Whakarewarewa post office. And then she went to work with my father, who was an accountant, and who, by all accounts, was a bit soft. So she went to sort that out. She was the matriarch of the family. My mother was a very strong woman — and an elegant woman, too. That’s why I grew up thinking that equality existed, that there weren’t any barriers for women. I’d assumed with a name like Tui that your mother must be Māori. What’s the story there? We don’t know. But there’s lots of chatter that she might be. If you looked at pictures of my mother, she could easily be Māori. Why she’s called Tui, I don’t know. There’ve been rumours among people from Ngāti Kahungunu in Hastings. And when I started my job at the Commission, a lot of people made contact and said we were related. This gentleman kept coming to the office saying I was Ngāti Porou. It’s one of those things that was never talked about. My mother certainly never mentioned it. Gosh, it would have been helpful in this role, wouldn’t it? Growing up in Rotorua, though, you must’ve had a fair bit of contact with Māori? Yeah, yeah. Half of our street was Māori and half of them were Pākehā, and some of them were married to each other. We all played together and looked after each other. I grew up going to marae with my dad on weekends. He was an accountant for Ngāti Whakaue and Ngāti Pikiao. So he used to go on Sundays to the meetings, and we’d hang around and then we’d have a feed. And he’d take home a half mutton or a bag of mussels or something else that Mum wasn’t entirely impressed with because she couldn’t pay the bills with that. And we used to hang out at Whakarewarewa — we called it Waka. I remember going to Guide Rangi’s tangi. Friends of my mother were guides and we used to go through there like it was our backyard. Then they built the hotel on the corner, and my mother used to walk in there every weekend and take us for a swim as kids, and pretend that we were staying there. We’d say: “Mum, half the staff know who you are.” We’d have a swim in the flash hot pool and she’d have a beer. And the squash — tell us about that. Many New Zealanders will remember with pride how you dominated women’s squash in the ’80s and early ’90s, when you retired as the undefeated world champion. How did you get started? We were a sporty family, as you can imagine. I remember spending most of my weekends travelling around with my brothers to sporting events. I played netball and I did a bit of running and I played tennis. I did everything. We did that in our family. We had a go at everything. But I suppose squash was just the thing that we were immersed in. In those days, squash was a burgeoning sport and very popular. It was a cool thing to do, actually. Something we did as a family. I used to go around to squash tournaments all the time with my parents and my brothers — before I was old enough to play. And I would sit in the car for hours and hours after the games were well and truly over. So I’d go on to the court and just hit the ball until we went home. That was how I filled in time while I was waiting for them. Most people thought it would be the last thing I’d want to do but I got hooked pretty early. I was quite good from an early age, and that’s always an incentive, isn’t it? When people say it’s in your blood, it sort of is in your blood, really. We’re still very involved. My husband (John Oakley) played till last year — he’s just had a hip replacement. And then our youngest (Jamie) is the New Zealand junior champion. Got another boy (Josh) on a squash scholarship in the States, and another one (Julian, a middle distance runner) on an athletics scholarship. I was about 12 or 13 when I decided that squash was pretty much all I wanted to do. Because I was the only daughter, my parents really wanted me to go to university. So they were quite disappointed when I said I wanted to leave school at 17. I was halfway through my last year of school, and I’d had a bit of a run in with the nuns — a little altercation about where my priorities lay. So I left school. I used to get dressed in my school uniform and hide under the house until my parents left for work. I got caught after about three weeks. So my dad went around all his friends, to find me a job. And I got a job as a builder’s labourer, when they were building the Sheraton hotel there. Me and 60 blokes on this building site. So, perfect for me, really. And that got me enough money to go overseas with the help of a Sports Foundation grant when I was nearly 18. I understand that when you went to Europe, to the UK, to start playing professional squash, you were completely on your own. How tough was that? At 17, I thought that going from Auckland to Heathrow was a bit like catching the bus from Rotorua to Auckland. I had a friend — who became a rival, actually — and I stayed with her for a bit. That didn’t work out. And then you just sink or swim. You find your way around from tournament to tournament and you bludge places to stay and you get billeted. I had an unrealistic view that I was going to be an overnight success. That I was going to be an instant star. And I didn’t quite understand how tough the competition was, or how hard it was just to break in. It’s a pretty cut-throat sport. That was an eye-opener for me. I knew that lots of people had done what I’d done before, and they would come home after their first season and not go back. And I always remember that. It was never in my mind that I wouldn’t go back. Then I teamed up with my coach, Bryce Taylor. He became infamous for taking photos of Lady Di. And his then partner, Marie, who’s still a very good friend of mine (they’ve split up now). So they took me in. And that was the turning point from being completely on my own, and wondering how on earth I was going to make happen what I wanted to do. My first season was really hard. I lost in the first round every time. But my second season was immeasurably better. I had somewhere to live and I had a good environment, and a good training environment. I was lucky. It all just fell into place. I won the British Open, and was number one by the time I was 20. My goal was to win the British Open when I was 21, so it went quicker than expected. I was a good trainer. That’s one of my strengths. I lived and breathed it. Of course, you went on to win eight British Opens in total and four world championship titles — probably would’ve been more if the world championships had been held yearly. What were the highlights for you? Winning my first British Open (in 1984). I remember that quite clearly. And winning my last world championship (in 1992). They’re the two things I remember most vividly. The rest I wouldn’t even be able to tell you who I played in the finals. My husband would. He’s like a walking encyclopaedia. In the first, I played Lisa Opie, who was touted to win. She was the first British person to win the British Open. It had always been dominated by Australians. I played her in the final and won. It was more memorable because she gave the referee the fingers. I remember getting off the court and running to the phone to ring my mum and dad. They were all waiting by the phone. They had the Rotorua Daily Post there. My mother had this posh voice on — that’s not how she usually speaks. In fact, a guy sent me a recording of it the other day, and we were having a laugh about Tui’s posh voice. Life did change overnight. Firstly I became number one and there was an expectation to stay there. And, when I came back to New Zealand, rather than struggling away like I had been, I got a sponsored car. Squash in the 80s and early 90s was quite popular in New Zealand, so there was a lot of interest. I was a big fish in a small pond. You’ve mentioned your coach Bryce Taylor and his then wife, Marie. Were there others who helped you along the way? When I first started, there was a guy called Colin Brownlee. He started the squash centre in Rotorua. Then there was an Egyptian coach called Dardir Ali El-Bakary, and he was instrumental in developing all of us in that era. Most amazing man and coach. My parents — I didn’t appreciate that for a long time, but I appreciate that now because I’m a parent. And John, my husband (and manager). I met him when I was 18. We got married when I was 21. When you retired, you were still at the top of your game. You were the reigning champion of eight countries (Australia, Britain, France, Hong Kong, Ireland, Scotland, Sweden, New Zealand) as well as the world champion. Why did you give it up? Physically, I was still capable. But I’d been doing it since I was 17. The reason why I was so good is because I trained so hard. I used to love training — it wasn’t ever a burden. But that was getting a bit tiresome. And I wanted to start a family. John and I had been married for eight or nine years by then, and so I’d been thinking about it for a long time. I woke up the morning of the finals in Canada (1992 World Squash Open) and said to John: “You know, win or lose today, I’m going to retire.” He wanted to discuss it but I’d made up my mind. And, believe it or not, I was pregnant at the time, although I didn’t know it then. So it was meant to be. The year before, I’d had a miscarriage. My father had a stroke. And I lost the British Open. So there were a whole lot of things that made it an annus horribilis. At the end of that year, I sort of knew that it was going to be my last year if it all went according to plan. I just had to go out on top. I had a lot to prove because I’d had such a bad year. Perhaps if I’d lost that day, I might’ve kept going. You went on to have four boys (Julian, Alex, Josh and Jamie). And you’ve held a number of positions and governance roles. Chair of the Halberg Trust, CEO and chair of Sport Bay of Plenty, chair of BNZ Partners Bay of Plenty, member of the Auckland District Health Board, the Tauranga Energy Trust, and patron of the Muscular Dystrophy Association (for which you raised $500,000 by walking the length of New Zealand in seven weeks). But there was quite a media storm when Judith Collins announced your appointment as Race Relations Commissioner, with many commentators saying you weren’t qualified or suitable for the role. Were you surprised by that reaction? Perhaps I was naïve, in hindsight. I certainly didn’t expect that everyone would be jumping up and down for joy. But I didn’t think it would be quite as momentous as it was. It was quite personal in some regards — or perhaps I just took it personally. And it went on for a long time, too. Not the ideal way to start a new job. The difficulty was in knowing how I was going to deal with it, because I was getting advice left right and centre, as you can imagine. I look back now and think about how I could’ve handled it differently. Why did you take the job? Had you been interested in race relations before this? One of the things I’d wanted to do was work for the Human Rights Commission. I just like that whole sense of fair play and social justice. So, when I was approached, I did a lot of due diligence. Firstly on the Commission, secondly on the role, and thirdly on my predecessors. Put it this way. I was a professional squash player. I’m not a lawyer or an accountant or whatever. It’s not like I could go back into my previous occupation. In some ways, all the hoo-ha around my appointment made me question my own ability to do the role. And I became very defensive. That was what I had to overcome. So I sought wise counsel before I took the role. I talked to people I’d worked with. People who knew me. People who knew my skills and my attributes, and who would tell me honestly. Because I’m not so arrogant that I thought I could just about do anything. But, I think, if you read the job description, you could say that you’re at least suitably qualified to go for the interview. You’ve said that this role has been a huge learning curve for you. And you’ve changed your mind about a number of things, including what you said in that Waitangi Day column in the Bay of Plenty Times, where you talked about the day being “marred by political shenanigans” and that perhaps it was time to choose another “true New Zealand day”. Yeah, I’ve changed … I still believe that the media focus only on the protest. That’s generally how I’d formed my opinion. In the media, I’d only seen the negative stuff, and I thought: “Why can’t we just get over that and celebrate it?” That’s where I’ve changed. It is New Zealand’s day. Māori’s day to protest. To acknowledge where we’ve come but also how much further we have to go. People don’t understand what happens at Waitangi. They don’t understand that 99 percent of it is about this wonderful gathering of people celebrating the signing of the Treaty. And the rest of it is actually saying we’ve still got a way to go to fulfil that promise. So you’d say the job has changed you? It’s definitely changed me. Undoubtedly. I say to my husband: “What am I going to do when I leave?” Because I want to keep going to all these things. Joris (de Bres, former Race Relations Commissioner) used to turn up to everything and that used to make me feel a little uneasy. But now I understand. This job becomes a calling in many ways. It becomes a part of your life. I’ve got a whole lot of new friends whose names I struggle to pronounce. I’ve had a whole new experience that’s very difficult to explain but totally overwhelming. I just think I’m very fortunate. I’ve had my own views challenged. I’ve changed views that I had on certain things. Quite honestly, I thought we were a much more inclusive and tolerant society than we really are. That’s been the really big thing. And I think we’ve gotta be really careful that we’re not going down a slippery slope. Because, where we are uniquely different from other countries with similar diversities is ours has changed within a generation. So we compare ourselves to Vancouver and Melbourne and places like that. Well, their multiculturalism hasn’t changed as rapidly as ours has. Your schoolmates, your classroom photo, will be completely different from your children’s. And that’s happened incredibly quickly. You know, I grapple with working in a multicultural environment when we haven’t got our bicultural stuff sorted. I went on the Parihaka Peace Walk last month and that was a real eye-opener. We have a long way to go to really cement our bicultural foundations. So many people on that walk, who were from New Plymouth, who I would have thought would’ve been to Parihaka, had never been there. Never been on a marae. And I didn’t know that that was true for most New Zealanders. I’d never been to Parihaka but I was aware of the history and I’ve been on truckloads of marae. I thought that was normal. And it isn’t. Well, I speak to my friends who grew up in Taihape or Gisborne, and we’re all quite similar. But then you’ve got other friends who didn’t have that contact with Māori. Like Andrew Judd (New Plymouth mayor). Looking at Andrew Judd’s story, which we’ve told on e-tangata, it seems obvious what the barriers are to cementing that bicultural foundation, doesn’t it? In Andrew’s case, it was about not having a clue about our history and having so little contact with Māori that he’d grown up fearful of them, and, in his own words, racist — although he hadn’t realised that until his epiphany as mayor. His story is quite remarkable. I drove down to New Plymouth last year to see him. I’d never met him before then. We sat for hours in his office talking, and I thought I was going to cry. I thought he was going to cry. Might’ve been crying at one stage. I found that quite amazing that a mayor had never been on a marae. We can’t judge people who aren’t informed or haven’t had the experiences. But, there is an onus on all of us to understand. And I think that’s what Andrew was trying to do. My message is, everyone should know about the history of their own town or city or region and the land that their buildings are upon to have some sense of how this has evolved. I look at my children. They’ve grown up with a basic understanding of the Treaty, but nothing about our history and nothing about our land wars. They know how to pronounce Māori names properly, and they can do a good haka. But that’s the gap, isn’t it? It’s absolutely critical to teach our history to our children. We’re not going to change anyone until we get people to understand our history. 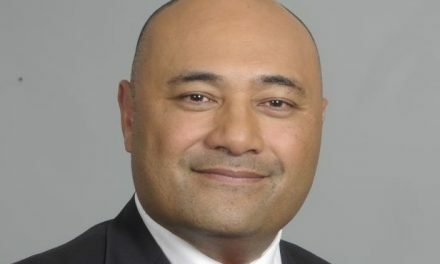 When you were appointed you had one side of the political spectrum condemning your appointment and the other rejoicing because they thought you were going to be the sensible, “common-sense” voice of “mainstream” New Zealand — which seems to be a proxy for people who think of the Race Relations office and Treaty consciousness as PC, liberal nonsense. How do you think they’re feeling now? I’ve probably pleasantly surprised and suitably disappointed both of those groups at different times. There is no doubt this has been a learning experience, but I think a lot of people made assumptions about my leanings when I was appointed — without even knowing me or understanding me. I’ve had a lot of people write to me, the ones who thought I was going to be something different, and admit that they were wrong. You know: “I was a naysayer in the beginning.” Or: “I was one of the ones who thought you’d be useless.” So that’s pretty good. When I get one of those I feel a sense of achievement. But I’ve lost a whole lot of friends over this, too — I’ve lost half my fan base, I think. Because I was pretty popular with the older, white population. One of the most interesting things I do is speak to Rotary and those sorts of groups. Predominantly white audiences, who are the very people who listen to me and think: Oh, I didn’t expect you to be like that or say that or whatever. And then they ask funny questions. And I said: “I’m not sure — I’ve gotta think about whether that’s a compliment or not. It’s confused me a little bit.” But it was so funny. I guess those former fans would say you’ve been captured — brainwashed by that PC lot at the Human Rights Commission. But, what would your mum and dad think? I just think my mum and dad would be so proud of me. They probably wouldn’t agree with everything I said, but they’d be proud of me for sticking to my guns. At the end of the day, working for the Human Rights Commission is all about standing up for people who can’t stand up for themselves. Who don’t have a voice. Who are the most marginalised for whatever reason — whether it be ethnicity or sexual orientation or whatever. It’s to hold the government to account, to be the watchdog, and to speak out and not be afraid to hold people and organisations to account. That’s really what our work is all about. I just happen to work in the race relations area, which is probably a little more complex and complicated than anything else here. You’re past the halfway mark in your five-year term. And many people have admired the gutsy stance you’ve taken on a number of issues. You’ve spoken out for doubling the refugee quota. You’ve stood up for Muslim communities. You spoke out recently against neo-Nazis marching in Masterton in the walk for Moko. You’ve called out politicians on all sides of the House. What’s the plan for the home stretch? Any particular focus? I’d like to go out with guns blazing. That means using the fact that I am probably the most well-known race relations commissioner, and the fact that I’m a Pākehā woman, as another tool to deliver a message to the people who probably need to look at their own behaviours and views. And being more confident about saying things. In the beginning, the things I said were picked up because people wanted to see me fail. They wanted to trip me up. So you spend half your time worrying about what you shouldn’t say rather than what you should say. But, as you get more confident, you just say what you think is right. Regardless. That’s one of the things I’ve learned — when to speak out, when to be bold and brave, and when to say something when no one else is. But I’m not the only bloody person in the world responsible for race relations. So it’s also getting people to take personal responsibility. Not to be bystanders. To stand up against the racial abuse of others. The goal is to have zero tolerance to any form of racial abuse. We have a chance in New Zealand to be world leading. But we need our world champions and politicians to start talking in those terms. We need leadership there. Lots of people want to use the race card, but always as a negative, never to start a discussion or as leverage for positive change. The most important thing I think we have in New Zealand is the ability, regardless of our views and who you are, to sit around a table and have a conversation. I know that people probably loathe me and despise me, but I don’t know anyone, apart from the trolls, that you couldn’t sit down and have a conversation with. Alice Te Punga Somerville: Who will we be once we solve our problems? She’s fulfilled her promise and worked very hard. She’s a person many Pākehā identify with and hold in very high esteem, and is an excellent role model. Keep up the great work, Susan! Wonderful work, for an Interfaith Liaison Officer or similar such role. The problem as I see it is that as Susan states she has taken a learning role, when she actually is paid a big salary to be teaching others about good race relations. I just find it sad that there are many people who could have actually made a difference in this role, who did not need to learn how to understand the role first, and they never got the chance. The role is so important, can you ask how Susan Devoy has she learnt Te Reo Maaori? Has she devoted herself to learning more about our history? Surely these are important things to know in her role. Lovely interview — insightful and humanising. Probably much needed — given the many unforced errors of judgement made by Dame Susan, some mentioned in your piece, but most not — since this appears to be more of a human interest piece than a human rights one. 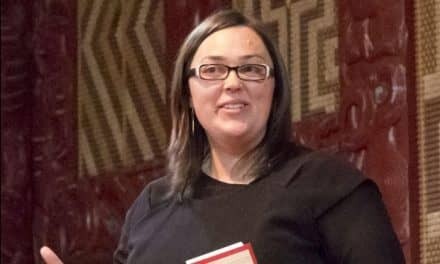 Communities of today, with hatred, abuse, and breaches of human rights abound, required a more Tangata-rooted, politically and legally literate, Commissioner. Tragically, the same deficiencies can be said for some other commissioners in the same office. The problem of light-weight commissioners started with the Chief Commissioner Rutherford, who meets even less of such basic criteria than Dame Susan does. Of course, they all I am sure meet general performance indicators established by today’s society. But had they been rooted and connected to the people, their struggles, and familiar with the institutional connections that underlie those struggles, all vulnerable would have a far better go at the high demands of human rights advocacy today. Hence, while appointing lovely and otherwise competent and professional individuals like Rutherford may meet the criteria of many institutions partially responsible for the very plight of minorities, it does not near meet the criteria needed for gaining significant ground back in favour of equality and equity in race and religious relations. A recent appointment of a senior police officer to the same office as a strategic advisor only adds to significant concern about the lack of political and legal literacy amongst the leaders of these critically important human rights institutions in NZ today. I sincerely hope that after such a lovely piece, there will be further room for Dame Susan and her successors and colleagues, to grow into a greater understanding of their deficiencies, and at least try to compensate for that with making sincere efforts to deeply understand and advocate on that basis. That very much remains to be seen. That is a journey that if Dame Susan has the courage to undertake, she will be proud as she reflects back on her tenure, when hopefully articles like this one will be able to afford her a more holistic and some may even say, honest, assessment of this critical role. Great Interview – thank you Susan and E-Tangata for the work you do for us. Really great interview. Devoy certainly has my respect. A couple of questions leap to mind however. Like how come, in this present climate of Whanau, Hapu and Te Reo, would our Race Relations Conciliator not know her own whakapapa or show any real interest. I also grew up in the 60s, similar circumstances where Maori and Pakeha married each other and raised a bunch of kids. My dad is Ngati Porou former bad boy until he got a good railway job. He was actually a gifted gardener and holistic healer, but if you told him that he’d look at you funny and tell you to get outside .He advocated things pakeha, married a woman of colour who he thought was of British heritage but was an authority on Tangata Rongonui. 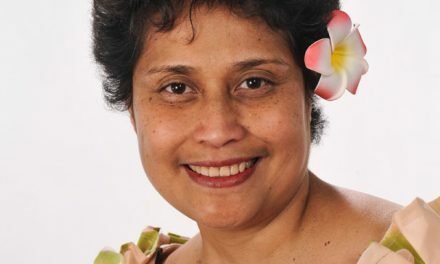 A socialist, she was a gifted dyslexic, a believer in all things taha Wairua. She raised us to be proud. calibre of mental strength. Susan seems to me, to have indomitably balanced view and vision of a sense, that social equity requires judgement from someone who understands why some people develop those attitudes and how to de-construct from inductive thinking. Her upbringing was very similar to mine. Brilliant interview. Love your unique perspective,life and approach to issues ,you have made it yours and put back some valuable energy and thought into things that you reflect on through your own life.